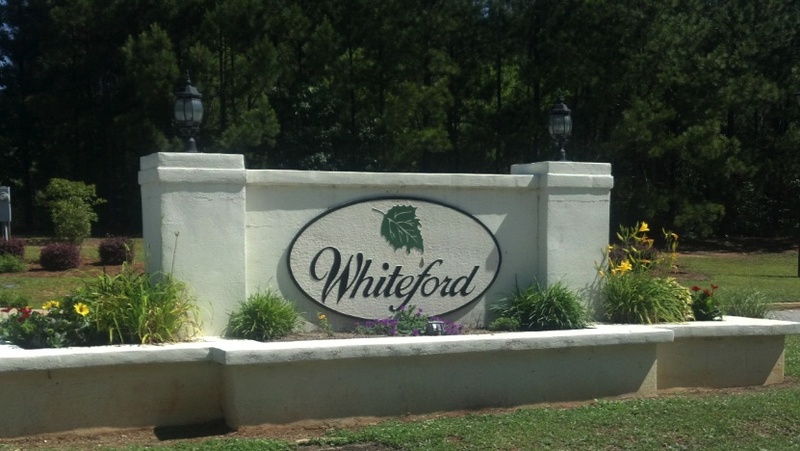 The Whiteford subdivision is located in the heart of Lexington, SC. Whiteford is a well established and well respected neighborhood cradled among a lush canopy of trees.Whiteford has been considered one of the most prestigious neighborhoods in Lexington, SC for more than 20 years. Located right in between Highway 378 and Highway 6, Whiteford has easy access to everything in Lexington. The neighborhood is nestled about 10 miles outside of Columbia, SC, and it is located less than two miles from Lake Murray and the Lake Murray Dam. Just a few miles over the dam will land you in Irmo, with enough shopping and dining for anyone to handle. Whiteford residents enjoy a suburban lifestyle with the conveniences of shopping, dining, recreation, and entertainment nearby. This neighborhood also offers easy access to both I-20 and I-26. This Lexington SC Neighborhood has more than 500 uniquely designed homes with the value starting in the mid 100,000’s up to 500,000. Each house varies in size and style from 1500 square feet up to a very spacious 3,000 square feet. Each house has at least 3 bedrooms and all homes are situated on nice sized lots! Whiteford does have a homeowners association where the payments are used to maintain the appearance of the neighborhood’s common areas which include all islands and both entrances. In addition, Whiteford students attend some of the best schools in SC, Lexington School District 1, which includes the following award winning schools: Midway Elementary, Lexington Middle, and Lexington High schools. For more information on these schools, visit Lexington School District One. My name is Dena Mixon and I would love to be your LEXINGTON, SC REALTOR! I am professionally trained and experienced to help home buyers and home sellers in the Midlands of South Carolina. I work very hard to help clients achieve tjeir real estate goals. I can promise that I will always give you the care and best possible service that I can give! Whether you are selling, buying, or just have a questions, please call or text me at (803) 348-1155. EXIT Real Estate Consultatnts.